One thing’s for sure, dry events are no fun at all. Every event planner or Miami corporate event catering company worth its salt knows how crucial it is to grace your guests with stylish libations. Here are a few tips to help you choose the perfect signature drink for your event. 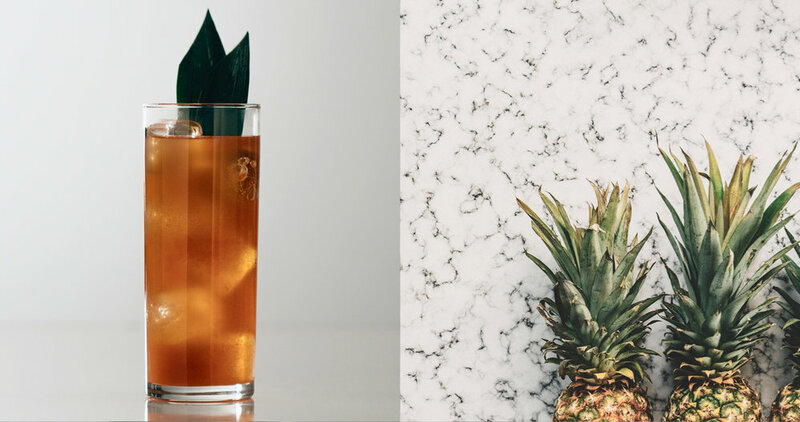 A signature drink for an event is just like your hairstyle or suit – it has to suit your event. If you're customizing a cocktail for your wedding reception, think ingredients that represent your national or regional origins. A bride we worked with was born and raised in Brazil, so she chose a CAIPIROSKA, a popular vodka cocktail in Brazil. 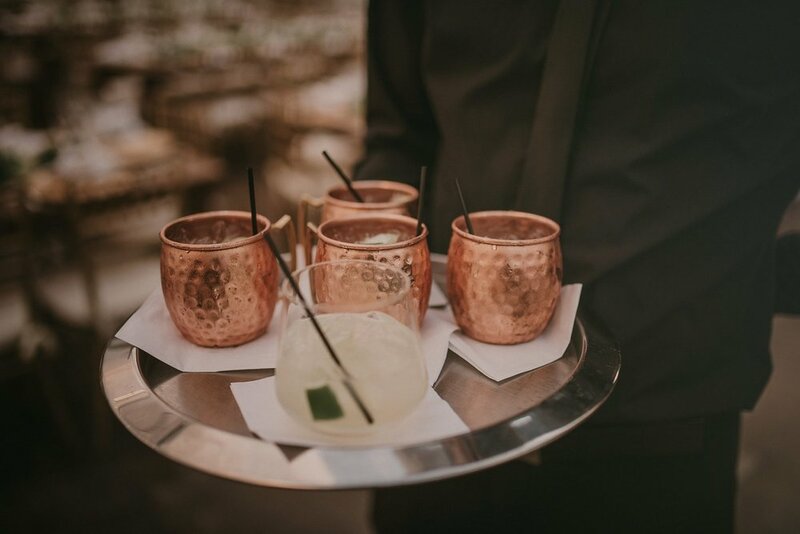 Her groom simply opted for his favorite beverage, the MOSCOW MULE, served in the traditional copper tumblers, not because it represented anything particular except that he loved it. This is ok too, it represented his personality instead of his origins. The same goes for corporate events. Corporate party planners can look for drinks that represent the corporation's home country or even the products they sell. Take into consideration the season when you're hosting your event. The "Watermelon Cooler" might not be the best option if your event is scheduled for a chilly winter's day. Likewise, something dark, rich and spicy probably won't sit well for a summer wedding in the tropics. If your event is a wedding, think over your guest list. Are most of your friends craft beer aficionados? If so, impress them with a delicious artisanal brew bearing custom labels. If you know that your best friends love their Chardonnay, make sure they'll get some even if you're designing an amazing martini to be your showstopper! Choosing a whimsical name that plays with the words of a cocktail, or its ingredients, to sound like either your name, your company's name (for corporate events,) or the nature of your event, will make guests smile and add a note of humor that will be a great way to kick off any event. If your event is a wedding reception, when guests arrive they'll love being offered a tray of icy beverages with names like "Something Blue," "Honey I Do' (instead of Honeydew,) "Devotion Potion" or "The Perfect Pear." You can even name the drinks with your first or last names, like "Max-hattan." One of our guests changed the name of the famous "Cucumber Collins" to their last name, "COSTER Collins." Your guests should be able to drink more than one. If you are going for a signature drink, make sure it’s nothing too strong. For example, a gin martini may be a great idea for a bachelor party, but three ounces of the stuff is enough to knock you off your feet. Offer up a mix that's delicious but not too potent! It can be a great experiential marketing component, serving potential clients with a tasty beverage that represents your brand. Ask your caterer to tailor the recipe so that ingredients may represent your brand or your event. Brainstorm catchy cocktail names to either include your brand name or be a catchy pun reminiscent of your brand. Order special tumblers with your logo. Consider making the tumblers eco-friendly, not disposable. Many people will appreciate this and guests can also take the tumbler home which means they will remember your brand every time they use it in the future! Order the beverage serving trays, napkins and other accessories with your corporate logo.